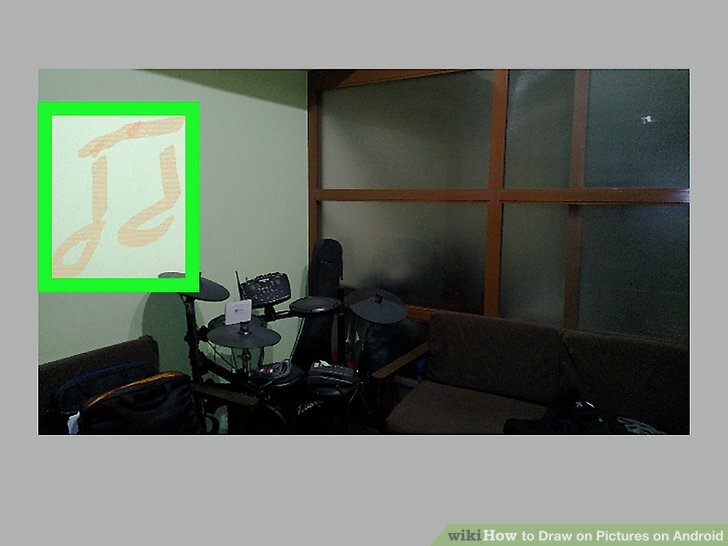 This wikiHow teaches you how to use draw or paint on a Photo using an Android phone or tablet. 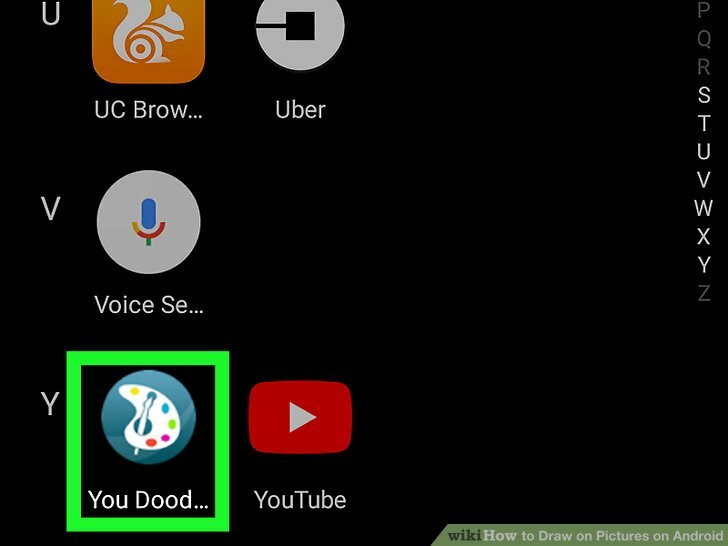 You'll need an app like PicsArt Color Paint or You Doodle to get started--you download either for free from the Play Store. 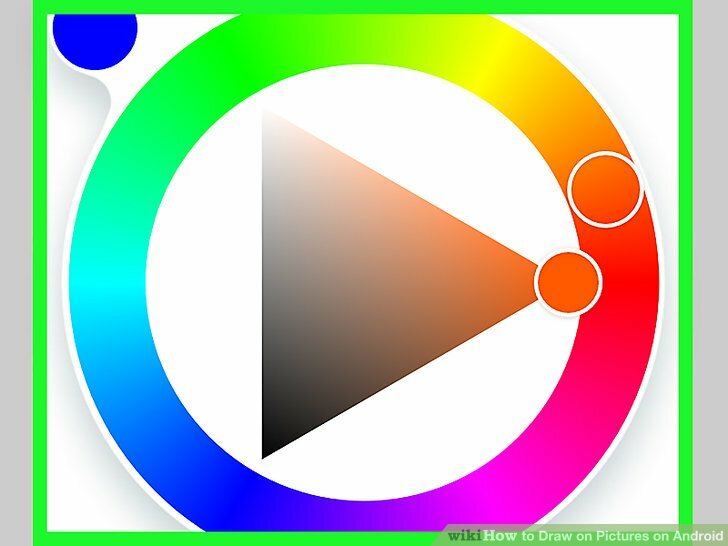 Open PicsArt Color Paint. It’s the pink and blue icon with a white “P” in the middle. 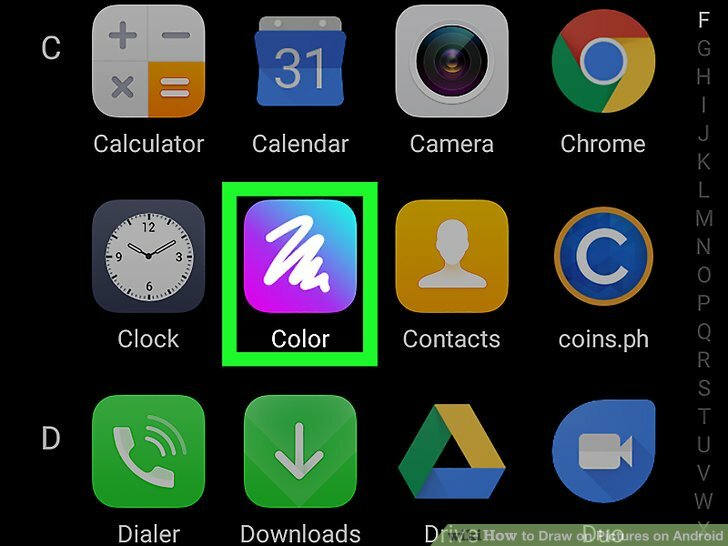 If you don’t have PicsArt Color Paint on your Android, you can download it for free from the Play Store . Tap . It’s the pink button at the bottom-center of the screen. 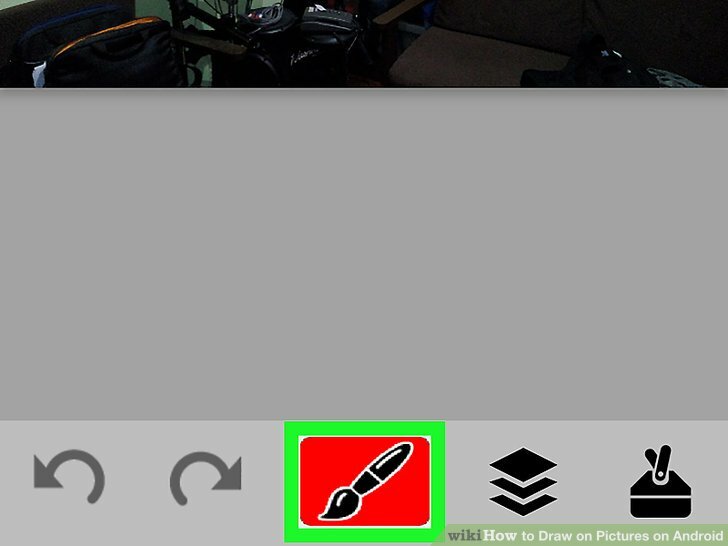 If you don’t see Start Drawing, tap the left panel with the ＋ at the center to start a new project. Tap the photo icon. It’s the icon that resembles a photo of mountains with a “+” sign at its bottom-left corner. It’s at the top of the screen. 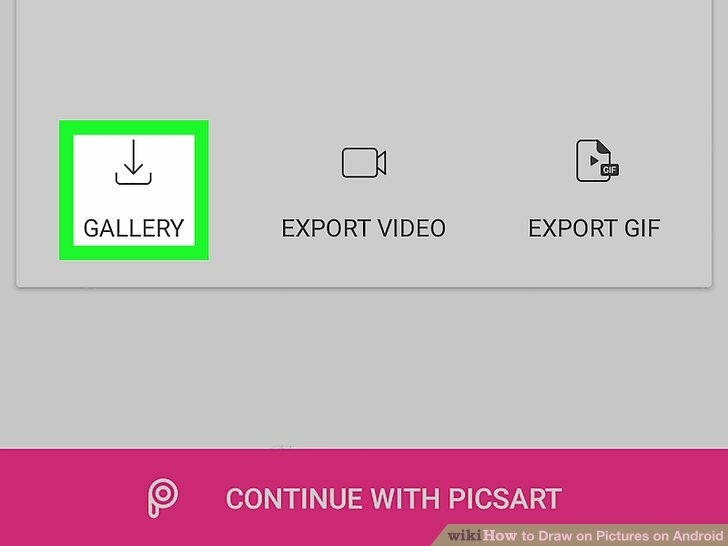 Tap Allow if prompted to give PicsArt permission to access your photos. 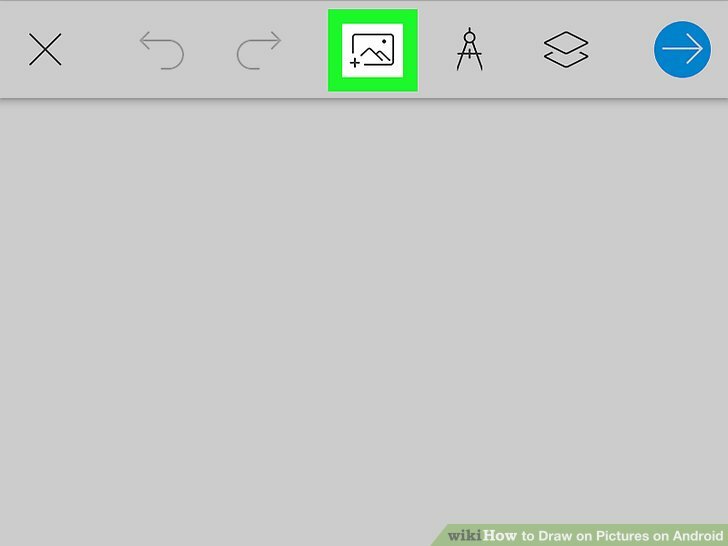 Scroll down and select a picture to draw on. This will open the picture in editing mode. You can also tap the camera icon and take a new photo instead. ⤡: Change the picture’s size. Tap . It’s at the top-right corner. This sets the image in place. Tap the blue color wheel icon. It’s in the toolbar on the bottom-left of the screen. This opens the color picker. Select a color and tap . You can tap a location on the color wheel to select a color and then tap on a location in triangle to adjust that color’s brightness level. You can also tap a color suggestion at the bottom instead. Tap the paintbrush icon. It’s in the toolbar at the bottom of the screen to the right of the color wheel icon. This opens the brush picker. Select a brush. Swipe through the brush types until you find one you like. 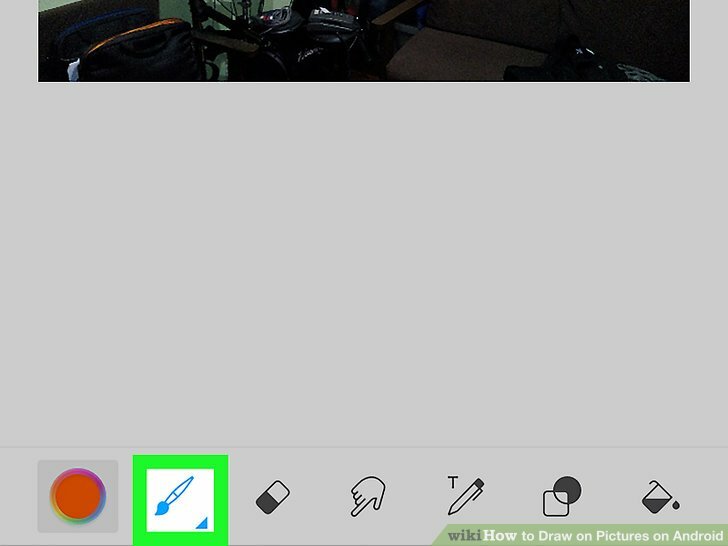 You can also adjust the sliders for each brush to change the size or opacity (see-through) of each brush. 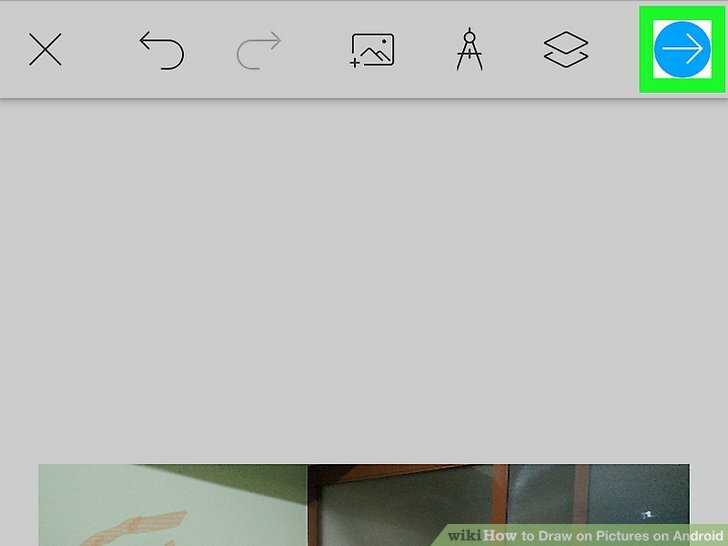 You can tap the ^ icon in the top-right corner of the brush selector window to view the brushes full-screen. Swipe-down on the brush selector to hide it. 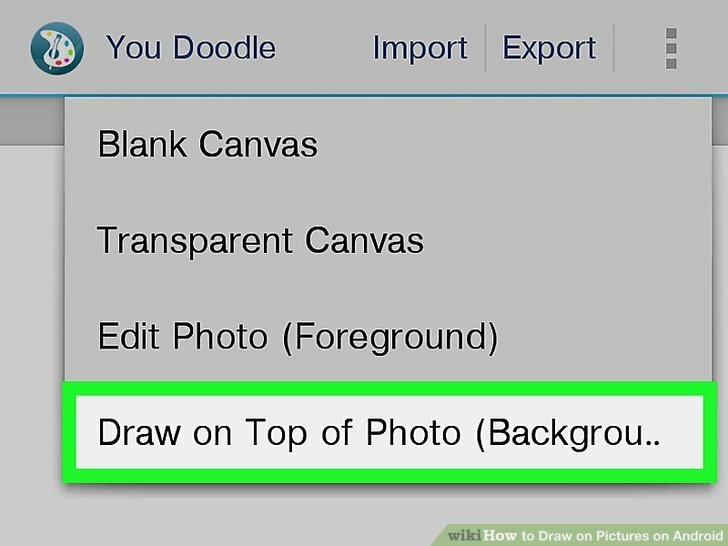 Draw on your picture. 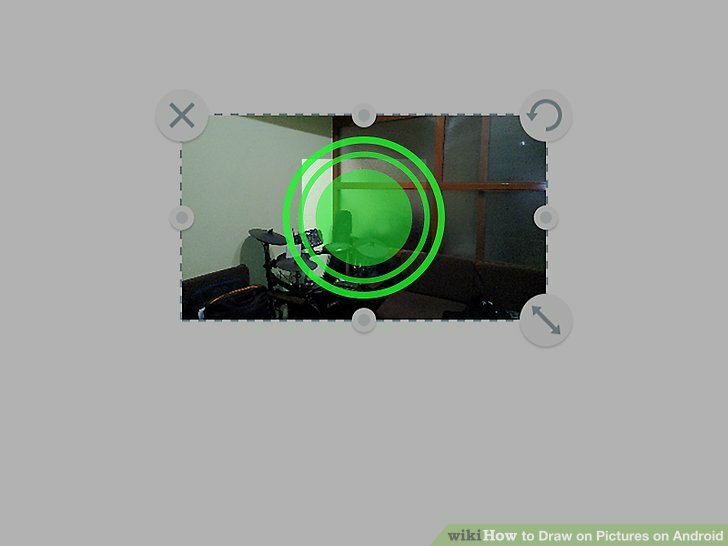 Use your finger to draw on the screen. You can change the color and brushes at any time. 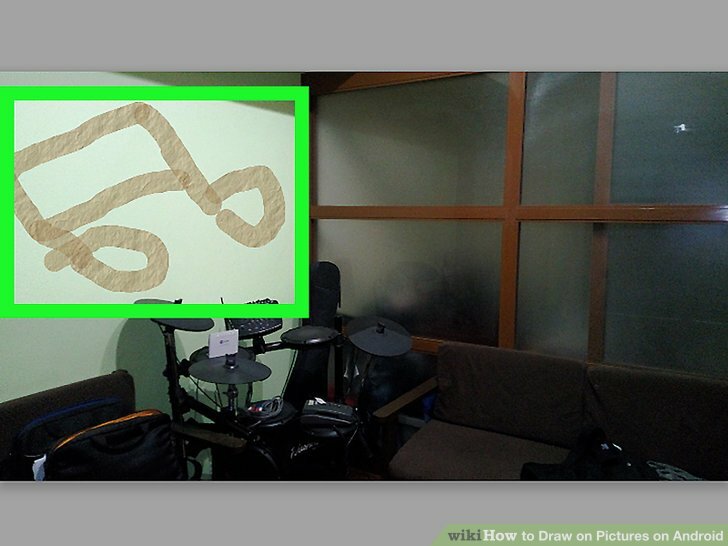 You can also use other tools to refine your drawing. Tap ↩ to undo any mistakes you make. 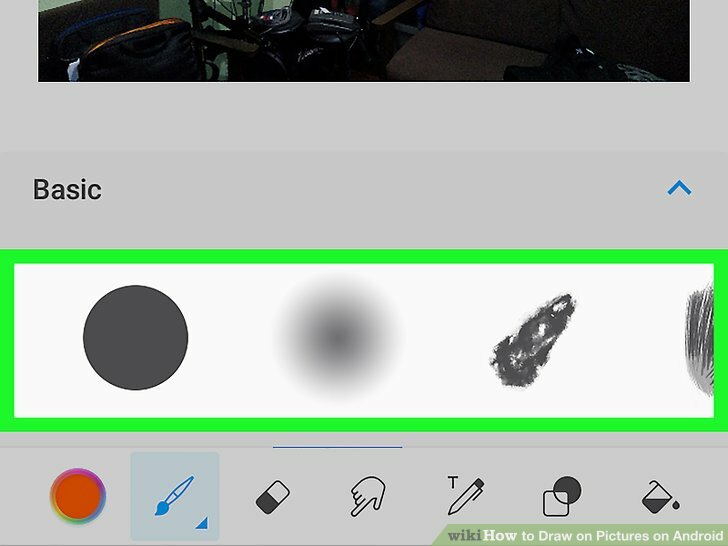 Tap the eraser tool to erase specific areas. Tap . It’s in the top-right corner. This takes you to the "Save and Share" page. Tap . This saves the picture to your Android’s gallery. 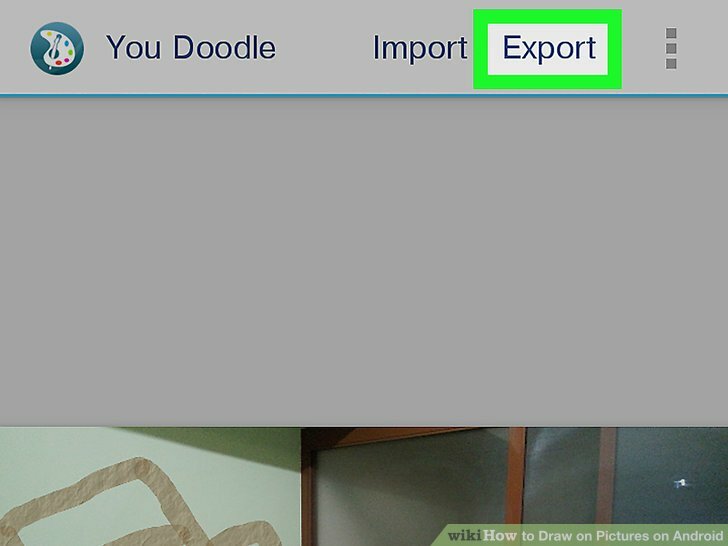 Open You Doodle on your Android. It’s the round icon with a multicolored paint palette inside. If you don’t have You Doodle on your Android, download it now from the Play Store . Tap . It’s at the top of the screen. Tap . It’s the last option in the menu. A list of sources will appear at the bottom of the screen. Tap your photo gallery icon. 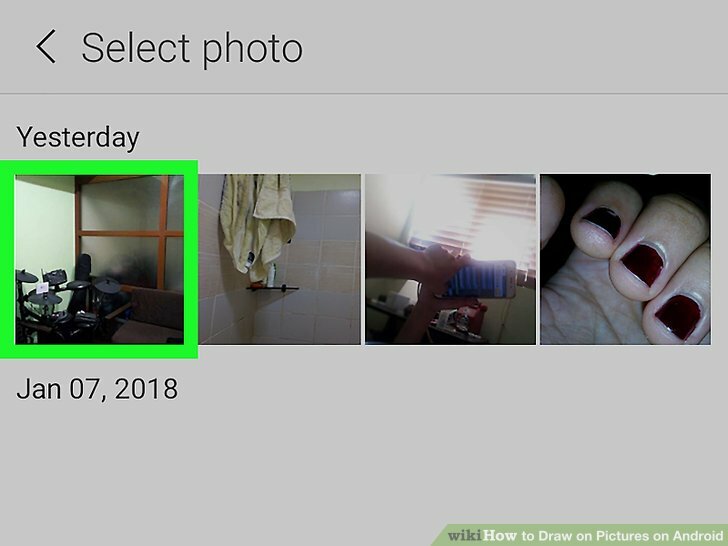 If you use Google Photos, tap Photos. Otherwise, look for Gallery or Photo Gallery. Tap the photo you want to draw on. 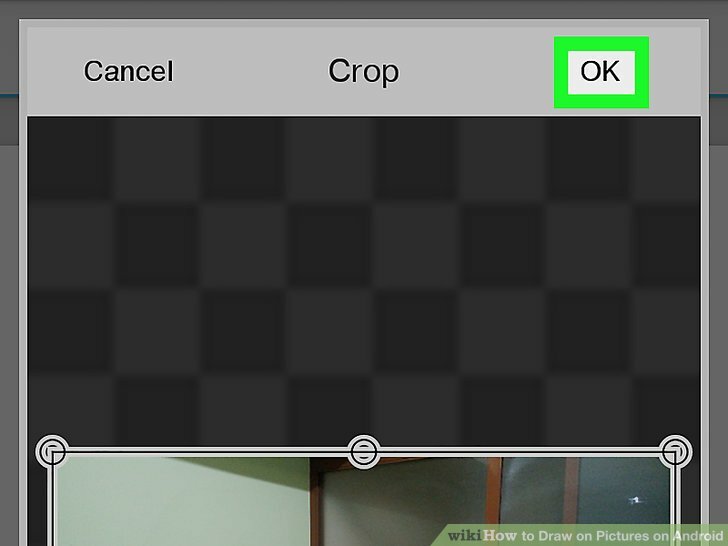 This opens the photo in the crop tool. Crop the photo to the desired size. 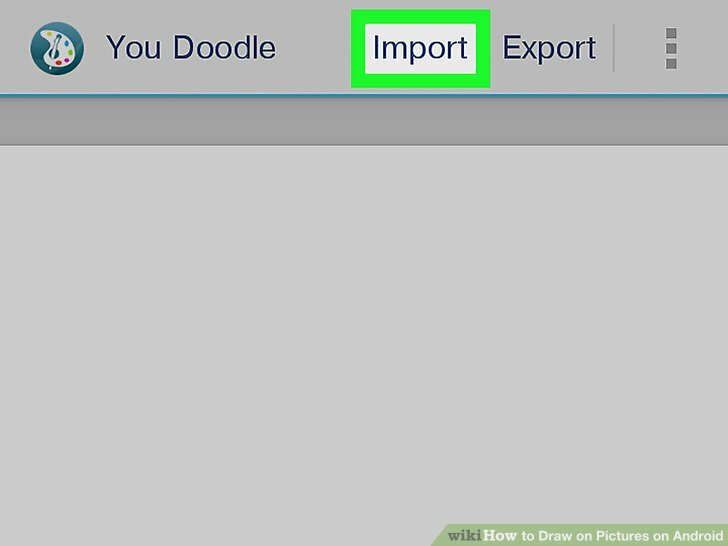 Drag the corners or edges of the rectangle to surround the part of the photo you want to use, then tap Crop at the top of the screen. 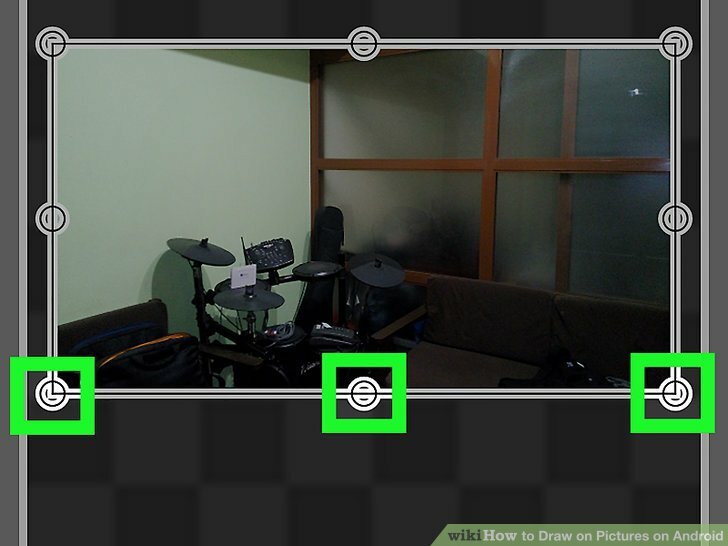 To select the whole photo, tap the first icon (the square with two arrows) at the bottom-left corner of the screen. If you want to rotate the photo, tap the curved arrow the bottom of the screen. Tap . It’s at the top-right corner of the screen. The photo will now open in the drawing editor. Tap the brush icon. It’s at the bottom of the screen. A list of options for your brush will appear. Customize your brush and tap . 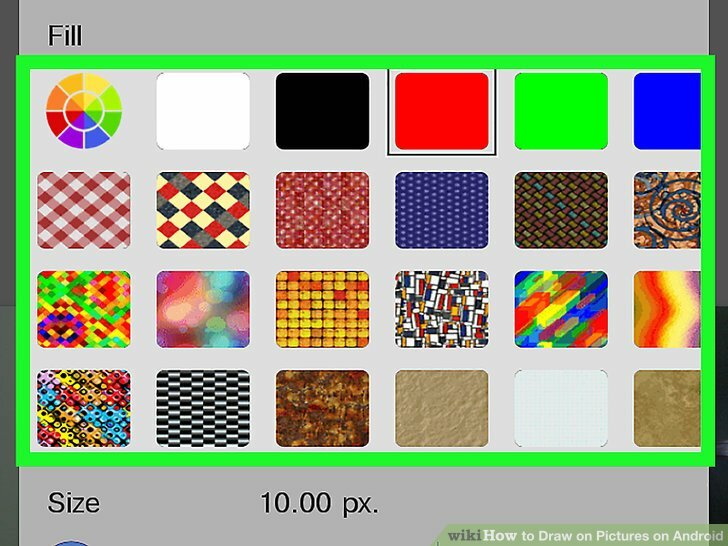 Select either a color or pattern to draw with, and then use the sliders to adjust size and opacity. Tap Fill to select a single color from the palette, or select one of the pattern options at the top of the screen. 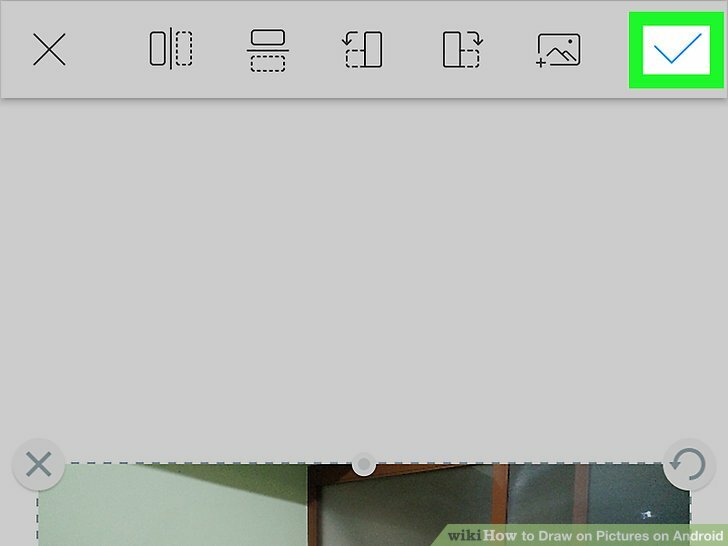 Drag the “Size” slider to the right to increase the brush size, or left to decrease it. Drag the “Opacity” slider to the left to make the brush color or pattern more see-through, and right to make it more solid/opaque. 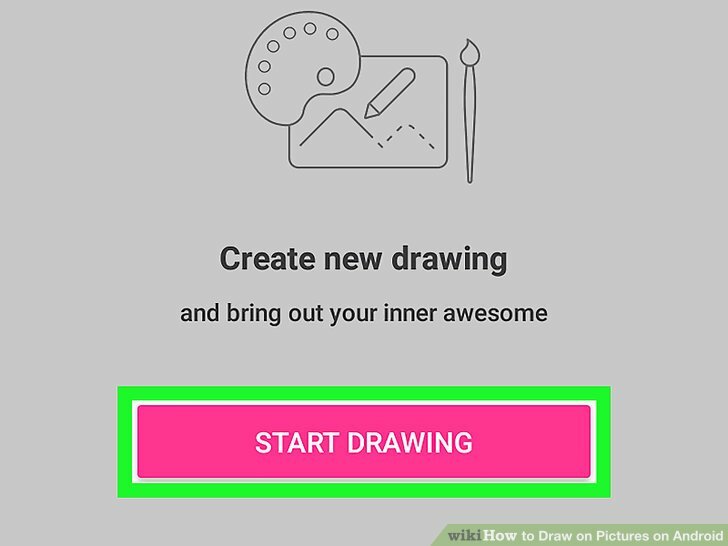 Use your finger to draw on the picture. If you make a mistake, tap the curved arrow at the bottom-left corner to undo your last action. Tap . 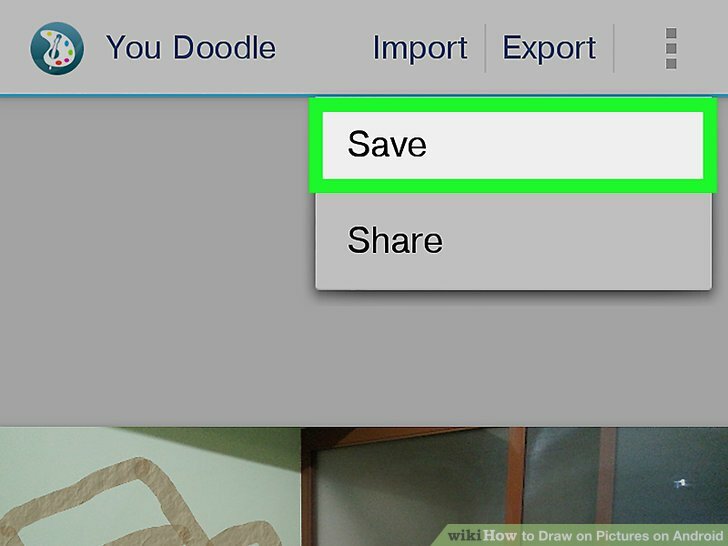 You will now have the option to save or share your edited photo. Tap . 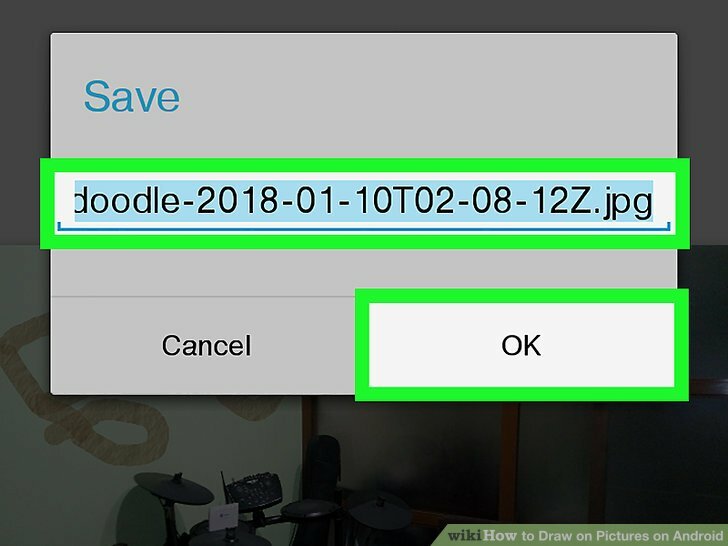 A list of file types will appear. Tap your preferred format. 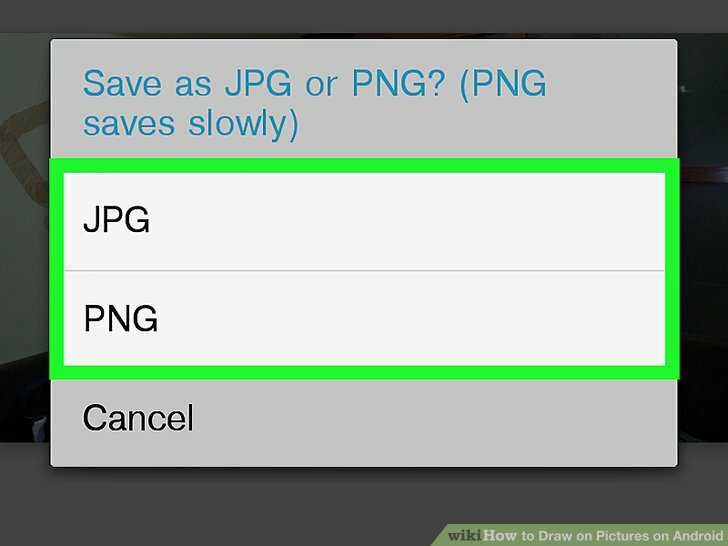 Select either PNG or JPG. The quality is similar, but it takes a little longer to save a PNG file. Type a name for your photo and tap . 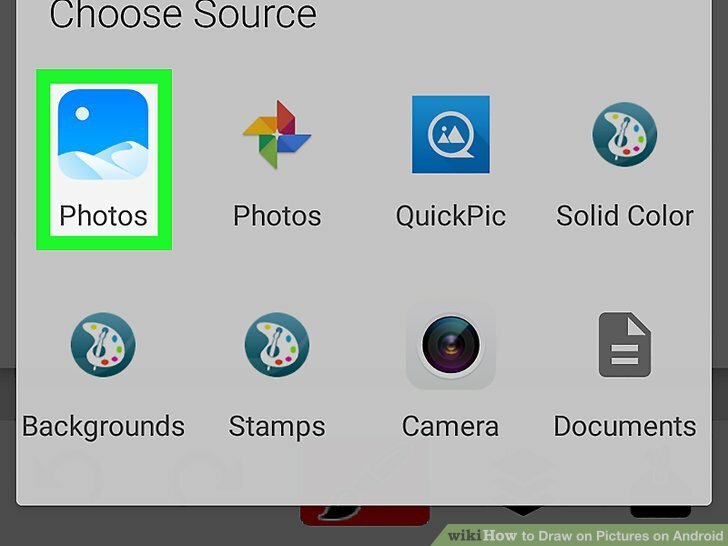 This saves your edited photo to your Android’s photo gallery.